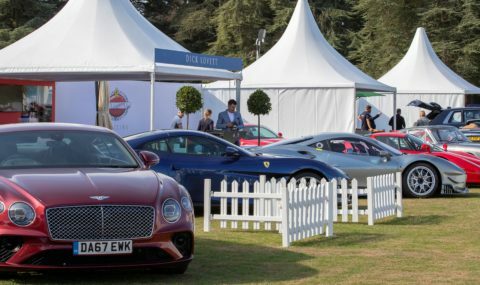 Salon Privé (5th to 8th September) will this year dedicate two days (Saturday 7th and Sunday 8th September) to celebrating the centenary of one of Britain’s most revered and prestigious motor car marques; Bentley Motors, founded in 1919 by the gifted engineer W.O. Bentley. The two-day celebration of 100 years of Bentley Motors at Salon Privé will consist of Bentley Masters on Saturday and Bentley Drivers Club Concours d’Elegance alongside Salon Privé Classic & Supercar on Sunday. On Saturday 7th September, the third running of the Masters Series at Salon Privé will be devoted to Bentley Motors, marking the 100th anniversary of this iconic British automotive marque. Although there will be a competitive element to the day, first and foremost it will be a celebration with an enviable display of 50 Bentleys from the earliest through to the very latest models. Together, they will bring to life the story of how the marque evolved to become one of the most admired luxury vehicle makers in the world today. These 50 Bentley Masters motor cars will be judged on the Saturday by a panel carefully selected for their knowledge and expertise of the Bentley marque, combined with those who have a passion and life-long interest in these special cars. Salon Privé takes a relaxed and celebratory approach to the judging, rather than the close scrutiny of a traditional Concours event. 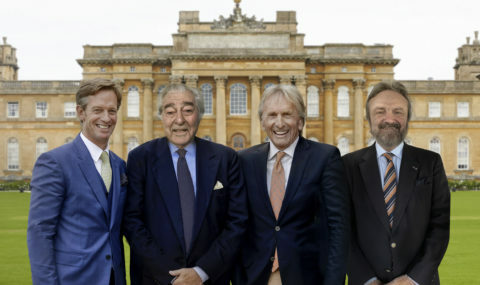 Trophies will be awarded during the day, with the much-coveted Owners’ Choice presented at the Saturday evening Gala Dinner within the sumptuous surroundings of Blenheim Palace. On Sunday 8th September, the Bentley Drivers Club (BDC) Concours d’Elegance will merge with the newly launched Salon Privé Classic & Supercar and with an expected record gathering of no less than 1,001 Bentleys from across the globe taking centre stage, it will be a once-in-a-lifetime experience not to be missed! Lucky owners of exceptional Bentley models are invited and encouraged to consider entering their motor cars for both days of Salon Privé’s Bentley centenary celebration weekend. Models already submitted for entry to the whole weekend include a noteworthy 1929 Speed Six Gurney Nutting Weymann Saloon, one of just 182 Speed Six models built, a 1938 Sports Saloon by Park Ward and a 1950 Mk VI Drophead Foursome Coupe by E.D.Abbott, one of just 16 ever built. Sunday 8th September will see the largest ever annual Bentley Drivers Club (BDC) Concours d’Elegance taking place as an integral part of the Salon Privé Classic & Supercar event at Blenheim Palace, with 18 prestigious trophies to be awarded, including Concours, Patina and the Inter-Regional Team Challenge awards. A special exhibition of significant Bentley cars from every decade will showcase 100 years of the marque; this will include the earliest surviving Bentley, EXP2, and a number of fascinating cars such as a striking-looking Continental GT Zagato, one of only nine made, and a unique Continental GT S Convertible ‘art car’ boldly decorated by the creative brush of celebrated artist Sir Peter Blake.